Vehicle Crash / No Driver’s License / Following too Close: First Street and CR10E: a driver was attempting to turn from 1st Street on to CR10E when another driver hit him from behind on his motorcycle. Driver of the car was cited for no valid driver’s license and motorcycle rider was summonsed for following to close. Dog Bite: Redwood Drive: a couple were watching a brothers’ dog. The brother’s dog and their dog got into a fight. The couple attempted to pull the dogs apart and both suffered multiple puncture wounds requiring stitches and both possibly have a broken hand. Vehicle Crash: CR7 and HWY 56, a Berthoud Fire vehicle was struck by a white Ford F350 when the F350 crossed over into their lane breaking off the fire vehicle’s side mirror. Theft: S 9th Street, a man reported that a 32-year-old Berthoud woman stole 38 of his 41 sedative medications. Tampering: Common Drive, a resident reported her trash can was dumped all over the street. Lost Property: Massachusetts, the head custodian reported a weed trimmer was missing from the storage room. Vehicle Crash / Driving Under the Influence of Drugs: Hwy. 287 and Hwy. 56, an 18-year-old driver was traveling north on 287 and accelerated through a yellow light. Another vehicle was turning east from southbound Hwy 287 and the two collided head one. Criminal Trespass: E Michigan Avenue, a resident reported an unknown suspect entered her vehicle and stole her cell phone and debit card. Vehicle Crash: Hwy 287 and CR17, two vehicles were turning left from Hwy 287 onto CR17. They were in separate left turn lanes and as they were turning onto CR17 when one of the vehicles went wide and struck the side of the other vehicle. Suspicious Circumstances: Common Drive, a resident reported finding an unlit firecracker in his mailbox. Vehicle Crash: 2nd Street and Welch Avenue, after the Berthoud Parade finished heavy traffic was congested throughout town. A driver tried to turn left into a line of cars and hit another vehicle. Protection Order Violation: Quandary Avenue, a 31-year-old man contacted another person through a third person using text messages. Lost/Stolen Property: Mountain Avenue, a Ft. Collins woman reported license plate was lost or stolen. Vehicle Crash: E CR8 and Pyramid Peak Street, a Berthoud driver struck the rear of a motorcycle. Motorcycle rider had minor injuries, but was able to walk away from the accident. Stolen Vehicle / Minor In Possession / Driving Without a Valid Driver’s License: S. 9th St, a father reported his 15-year-old son took his grandfather’s vehicle without permission. Marijuana and marijuana paraphernalia was also located inside the vehicle. Family Problems: S 9th Street, a 33-year-old woman went to her parent’s house and is not welcome there. She was threatening and refusing to leave. Disturbance: Common Drive, a daughter called in to say her mom’s friend was intoxicated and making threats. Theft: Spartan Ave., a mother reported her 14-year-old son’s saxophone was stolen from BHS. Suspicious Circumstances: 14th Street and Mt. Meeker, a suspicious vehicle was contacted by deputies and found a 38-year-old Brighton woman sleeping inside. She was also revoked as a Habitual Traffic Offender. Found Property: Bunyan Avenue, a passerby reported seeing an abandoned bicycle in the 300 block of Bunyan Avenue. Bicycle is a BMX style bike. Citizen Assist: Franklin Avenue, it was reported two residents argued over bad language and one grabbed the others shirt. Vehicle Crash: S 1st Street, a cab driver backed into parked vehicle on private property. Vehicle Crash: Spartan Avenue, a driver backed into another vehicle in the parking lot. Suspicious Circumstances: Spartan Avenue, a vehicle was parked in the parking lot with heavy damage to the front of the vehicle. Owner was located and advised damage was old and it is parked there because it has a flat tire and will come and get it in the morning. Vehicle Crash (Hit and Run): 400 Block Meadowlark, a driver reported she was behind a red Chevy Impala on Meadowlark Drive at a stop sign for CR 8. The Impala suddenly backed into her vehicle for an unknown reason. The driver exited the Impala appearing to be cooperative with exchanging information. When she began to take a photo of the license plate, the driver got back his vehicle and drove away and headed toward Longmont. Family Problems: Bristlecone Court, a sister and her boyfriend who live out of state are due to come to this address to get property. Due to past threats from the boyfriend the resident is getting law enforcement involved. Vehicle / Pedestrian Crash: 6th Avenue and Mountain Avenue, vehicle hit a pedestrian in the intersection of 6th Street and Mountain Avenue. The vehicle was stopped on 6th Street facing South bound at Mountain Avenue and the vehicle attempted to turn East bound onto Mountain Avenue and struck the pedestrian that was walking North in the East crosswalk. The pedestrian received minor injuries. Theft: Massachusetts Avenue, a resident reported that her long board was stolen from her residence. The resident described the skate board as a flat board approximately 4 1/2 feet long, with neon green wheels, the top was black grip tape and the bottom was covered in a bunch of stickers. Driving Under Restraint: First Street and Franklin Avenue, a 30-year-old Loveland woman was stopped for speeding and her license was found to be canceled. Vehicle Crash (Hit and Run): E Hwy 56 and Weld CR 5, a driver was driving Eastbound on Hwy 56 when a white Dodge truck ran the stop sign going North on Weld CR 5 and the two vehicles collided. The driver of the truck did not stop. Found Property: Mountain Avenue, a wallet, found in the parking lot at Hays Market, was turned in. Trespass: Auklet Drive, a resident reported that someone drove through his side yard to avoid a construction road block and damaged his grass and one sprinkler head. Welfare Check: Second Street, a resident reported that he had concerns for the safety of a 13-year-old neighbor due to the strong odor of animal waste coming from the home. The mother was contacted by phone and refused to meet with the deputy, likely due to an active arrest warrant. The mother promised to clean up her home and stated that she had removed several animals from the home. Criminal Mischief / Tampering / Trespass: Greys Peak Lane, unknown juvenile suspects took solar lights from this address, then broke them throughout the surrounding neighborhood. The suspects then scattered plastic bags for dog clean up, around the neighborhood, and tipped over a Porta-Potty. Trespass: Heron Lakes Golf Course, the construction manager reported a construction trailer was broken into. He reported over $7,000.00 worth of tools were taken. Trespass: 7th Street, a vehicle was entered and vandalized. A purse and other items were stolen from inside. Harassment / On-going Family Issues: Second Street, a mother reported her son was scratched by his stepmom during an argument. Criminal Mischief: E Iowa Avenue, a resident reported that someone had damaged her mailbox. Theft: Fourth Street, it was reported that someone had stolen several ice teas and waters from a vending machine. Video was collected and the suspects were identified as an 11-year-old boy and his 8-year-old cousin and they were charged. It always pays to stay hydrated, just not in front of the cameras. Warrant Arrest / Drug Paraphernalia: Second Street, a 36-year-old Berthoud woman was contacted and found to be in the possession of several items of drug paraphernalia. She was also arrested for an outstanding warrant. Criminal Impersonation / Warrant Arrest: S. CR1, deputies were called to this address for a welfare check. A man was contacted inside of the residence who gave the deputies several different names and dates of birth. Once his real name was given it was discovered he had a warrant out for his arrest. Trespass / Criminal Mischief / Theft: Little Branch Lane, a construction trailer was damaged when unknown suspects attempted to pry the side door open but failed. 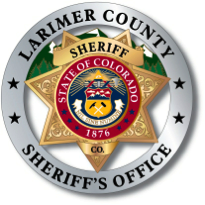 Impersonating a Police Officer / Scam: Larimer County, a 61-year-old man reported receiving a call from a male identifying himself as Sergeant KENNETH WILSON with Larimer Sheriff. The caller wanted the man to obtain a certified bond in the amount of $1900, then deposit it into a specified kiosk. LCSO does not have a Kenneth Wilson working there nor would they call and ask for money. Assault: E Iowa Ave (Pioneer Park), a mother reported that her 13-year-old son was assaulted by a 15 to 17-year-old boy. Trespass / Theft: Welch Avenue, a resident reported an unknown suspect entered a company vehicle overnight. Suspects stole a company gas card out of the truck and gas cans out of the bed of the truck. Suspects left behind a pair of bolt cutters which were logged into evidence for processing. Found Property: Anonymous citizen found two keys on a ring at Fourth Street and Mountain Avenue and left them in the call phone box. Stolen Vehicle: S 5th Street, a resident reported her sister took a car without permission. Pandering: Mountain and Meadowlark, deputy contacted a bus with two females and one male, they seem to be transients and were asked by staff to leave a local business, due to begging for money. It is a yellow bus with odd colorful drawings on it. No, it was not the Partridge family. Towed Abandoned Vehicle: Franklin Avenue and 6th Street, an RV with expired tags (2014) was towed after being tagged for 72-hour removal on June 13th. Juvenile Problem: Peakview Meadows, 3-5 juveniles who were out and about late at night. One of the callers chased them in his truck, while on the phone with dispatch. Assist to Town of Berthoud: An irrigation ditch was overflowing at a culvert near First and Indiana pushing water into the mobile home park. Trespass / Criminal Mischief: E Colorado Avenue, a very intoxicated 43-year-old man entered the fenced backyard of this address and kicked open a door to an attached garage to sleep it off. The man was identified by a resident at a nearby house and was subsequently contacted at his residence. He was contacted the next morning and was suffering from a very painful hangover. Vehicle Problem: E. Indiana, caller reported a semi-truck and cattle trailer that was parked on the wrong side of the road. The caller also complained of the manure smell coming from the cattle trailer. The driver was asked to moooove and to find an udder place to park. Assist to State Patrol: CR4 and Chaparro Circle, a motorcycle was making a turn and a vehicle ran into the back of the motorcycle. Safety Fair this weekend at Grace Place. 10:00 a.m. to 2:00 p.m. Vehicle Crash: Hwy 287-mile marker 325.6, a 54-year-old Thornton woman made a prohibited U-turn in front of another vehicle, blocking the road and causing the crash. Suspicious Circumstances: 6th Street, a report came in reference someone yelling very loud. Theft: 2nd Street, a resident reported that he had 2 cell phones and believes one of them has been stolen. Identity Theft: Tavner Court, a resident reported that someone opened a PayPal account in her name. Trespass: Jenny Lane, a resident reported that his vehicles were entered and the registrations and a garage door opener were stolen. Possession of Schedule I drug with Intent to Distribute, Possession of Marijuana Concentrate with Intent to Distribute, Underage Possession of Marijuana, and Possession of Drug Paraphernalia: Little Acres Drive, a 17-year-old girl was in possession of a bag that was found to contain marijuana in a plastic bag inside of a white plastic container. Also, located a rubber container, a glass container, and several baggies and wax paper with marijuana concentrate. There were four glass pipes with residue, one glass rod with residue, and one metal pipe with residue. Deputy also located a sandwich bag with mushrooms, several empty plastic containers, two lighters, a torch, and a digital scale. Burglary: 4th Street, someone broke a window into a shop and entered the building. Suspicious Circumstances: E Iowa, a resident found a syringe wrapped up in a napkin by their house. Suspicious Circumstances: Woodcock Street, a man and woman were in an argument over her moving into his apartment. Suspicious Circumstances: Went to call of a 12-year-old boy feeling he needed to protect his house from a 13-year girl from stealing car from the garage. This all stemmed from the theft of a Pokeman card from a friend of his and he felt she might steal again. Vehicle Crash: 4th Street, a town employee was driving a Town of Berthoud truck and ran into the rear of a parked car while attempting to park. Vehicular Eluding / Trespassing / Recovery of Stolen Vehicle: Mountain Avenue and Meadowlark Drive, Last night deputies attempted to contact a suspicious vehicle. The vehicle took off and attempted to elude a deputy during a short pursuit. The vehicle ran a stop sign and almost caused an accident. The passenger had exited the vehicle on foot prior to the vehicle pursuit, but the suspect drove the vehicle and later fled on foot after driving the vehicle where Meadowlark Drive dead-ends to the north. A perimeter and K-9 track was set up, but the suspect was not apprehended. The vehicle turned out to be a freshly stolen car out of Timnath. An area canvas was completed and the vehicle was processed for evidence. Video of the suspects were collected from Home Town Liquor and the Kwik Korner gas station. Burglary / Criminal Mischief: Memory Lane, a contractor reported five juvenile males entered a home under construction playing “cops and robbers”. While they were inside one of the juveniles entered the attic, and fell through the dry wall ceiling. The boy was injured and was transported to the hospital by his parents. Criminal Mischief: Turner Middle School, unknown suspect(s) shattered a window overnight. Vehicle Crash: Bunyan Avenue, a driver was distracted as she was driving and struck a parked car. Theft: 4th Street, a resident reported his license plates were stolen from his truck. Leaving the Scene of an Accident / Careless Driving / Revoked License / Operating an Uninsured Vehicle: Woodchuck Street / Berthoud Parkway, a driver was involved in a vehicle crash with another vehicle inside the new round-a-bout. Driver of the 2nd car fled the scene after a verbal altercation over the at fault driver. The 2nd driver was determined to be traveling to fast inside the round-a-bout. He was also revoked and had two misdemeanor warrants for his arrest. Trespass / Theft: 2nd Street, a resident had her generator taken from an outside shed. Warrant Arrest X2: Berthoud Parkway and CR10E, a 32-year-old Berthoud woman was contacted walking on the side of the road. She was found to have 2 warrants, 1 warrant is to serve 10 days for theft out of Loveland, second warrant out of Larimer County to serve 89 days for escape from work-release. Trespass: W CR10E, a construction trailer was illegally entered again. Workers saw the suspects this time driving a small grey car. Suspects left their bolt cutter behind. Noise Complaint: 14th Street and Mt. Meeker, several people at a house party were getting rowdy and very loud. Several of the party goers had motorcycles that nearby residents were concerned about the noise when they all left. Vehicle Crash / Medical Issue: Mountain Avenue and Gateway Boulevard, a report was received that a bicyclist was hit by a car. Upon investigation, the bicyclist had a medical issue and passed out and fell off of his bike and was not hit by a vehicle. Suspicious Circumstances: Oystercatcher Drive, a report was received that there was a helicopter flying over this area for over 30 minutes. Vehicle Crash: 1st Street and Bunyan Avenue, two Denver area motorcycle riders were riding tandem when one of them slowed to make a right-hand turn and the other rider tried to down shift but his pant leg got stuck on his peg. He swerved and struck the other motorcycle causing both bikes to crash. Juvenile Problems: Town Skate Park, it was reported several juveniles were at the skate park wanting to fight. Disturbance: 9th Street, report of two men cussing and yelling at each other. They were threatening to beat each other up possibly over a dog. Found Property: 2nd Street and Bunyan Avenue, a blue bicycle was reported left at this location. Found Paraphernalia: Aspen Drive, a bag of trash which contained drug paraphernalia was left in a resident’s vehicle. Found Property: 300 block of Mountain Avenue, a green bicycle was reported left at this location. Criminal Mischief: E. CR8 and 1st Street, someone spray painted course language on hay bales just southeast of the round-a-bout. DUI: I-25 Frontage Road., a 35-year-old Erie man was called in after a motorist observed him along the frontage road repeatedly putting his vehicle in drive then reverse for almost an hour. The man had also been called in by two other motorists prior due to his erratic driving behavior. Spoiler Alert – He was arrested for suspicion of driving under the influence. Scam: Another report of a scam caller stating he was “Officer Wallace” was with the Larimer County Sheriff’s Office stating the resident had a warrant. The caller directed the resident to get $1000 in vouchers or they would be arrested. Again, the sheriff’s office will not call you and ask you for money! Scam: The same “Officer Wallace” called the resident telling him that he failed to appear for jury duty and to also send $1000 in vouchers. Criminal Mischief: Berthoud High School, the janitor reported that he discovered someone had broken a window at the school. There were kids playing baseball very close to this location last night and could have possibly been hit by an errant baseball. Burglary: 4th Street, someone broke into a residence and stole 2 large pieces of sandstone slate. Assist: CR2E and CR15, assisted Berthoud fire with traffic control while they worked a grassfire. Criminal Mischief: Welch Avenue, a resident reported unknown suspect(s) spray painted an offensive word on her sons’ electric toy car. Missing Adult: Capitol Ave., a resident called to report that her husband left their home tonight around 8:00pm in his vehicle. He told her that his medicine was causing him to be dizzy and lightheaded. Vehicle Trespass/Theft: Prairie Star, Suspect(s) cut off a lock to a truck and tools were stolen. Criminal Mischief: Gateway Park, suspect(s) painted graffiti on a pump house by the holding pond also on the bridges along Mountain Avenue. Scam: 5th Street, someone called the resident and told them they were with the “credit bureau” and that they owed money and they needed to pay or be arrested. Site contents copyright © 2019 Recorder Online	except as noted. All rights reserved. | 87 queries in 2.376 seconds.